Thrilling and engaging, this film’s narrative suffers from the lack of an objective Overall Story Throughline perspective. Hard to argue against half a billion dollars. As one of the most successful sci-fi films of all time, Gravity certainly won over audiences this past October. However, box office success rarely assures one of a great story (see Skyfall or Iron Man 2) and unfortunately that appears to be the case here. Sure, they provide a little more substance with Stone’s massive chip-on-the-shoulder personal issues—a concrete and easily accessed Main Character Throughline. And they do offer a competent catalyst for her growth beyond this troublesome area by introducing Cpt. Kowalski (George Clooney) and his Influence Character Throughline. But it simply isn’t enough. There seems to be a beat missing—almost an entire Act—that would help Stone’s development seem less an affect of the medium and more a natural and organic consequence of solid story structure. Four movements, not three, guarantee effective personal growth within a story. Gravity only gives three to Stone (if that many) and as a result shows her catharsis to be both predictable and mechanical. But again, half a billion dollars—a weak and incomplete story structure matters little when taking that into consideration. 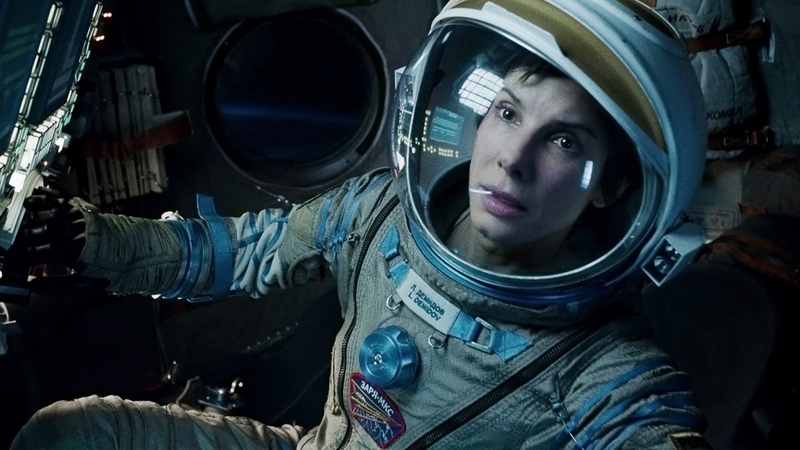 Read two or three reputable reviews of Gravity and you’ll pick up on a pattern though: high praise for the spectacle, yet somehow lacking in the character department. Both the lack of a solid objective point-of-view and missing beats within the Main Character and Influence Character Throughlines guarantee this kind of disappointment in the final analysis of story.